All trees in maintained landscapes will benefit from holistic care. That certainly includes fruiting trees in an estate orchard. 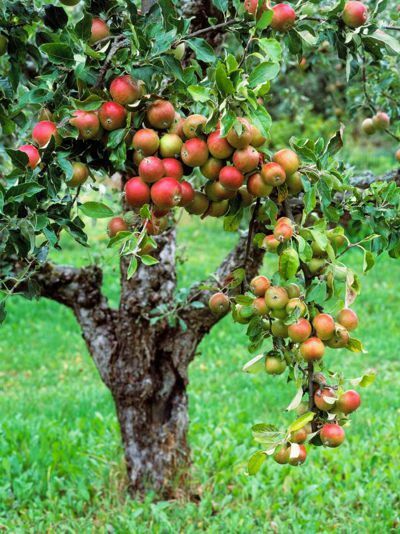 These professional arborists and landscapers will tend to family fruit plantings by holistic means. Competent pruning coupled with fungal ecosystem tenets establishes healthy crop potential. Regularly-timed holistic sprays give trees greater ability to resist disease. Often the real bugaboo can be persistent pests that attack the fruit directly. Thorough discussion with your landscaper establishes the scope of the work to be done. A bountiful harvest follows from there. Sit back and let the healthy fruit harvest begin!